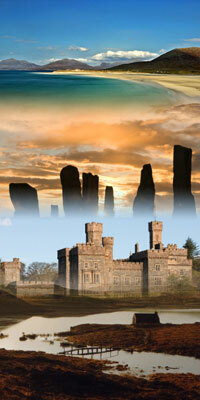 But 'n Ben Holiday Homes | Self Catering Isle of Lewis. 1. Holiday cancellation is NOT included in the rental and should the hirer have to cancel the booking a refund will only be made if the Company is able to re-let the accommodation for the period concerned. If successful the Company will refund the deposit and balance, if already paid, less a 30.00 GBP re-booking fee. The Company must be notified of cancellation in writing prior to the commencement of the holiday. 2. The period of let shall be from 4.00 pm on the day of arrival to 10.00 am on the day of departure unless otherwise stated. 3. The contract confers on the hirer the right to occupy the accommodation for a holiday only and. terms of section 12 ( schedule 4, paragraph 8 ) of the housing ( Scotland ) Act 1988 is not an 'assured tenancy'. 4. The hirer must personally stay at the accommodation throughout the holiday and is solely responsible for the whole party. Assignees and sub-tenants are prohibited. No more than the stated number may stay at the property. 5. A deposit of 100.00 GBP per week must be paid within 48 hours of the booking request being made. The balance is due two months before the start of the holiday , or at the same time as the deposit is paid if the start of the holiday is within two months of the booking request date. The Company reserves the right to declare the contract void, the deposit forfeit and to re-let the accommodation should the balance not have been received within the time limit. 6. The hirer undertakes to take all reasonable care in the use of the property and its contents, including the security of the property. The hirer will report any damages losses or breakages as soon as they occur. The Company reserves the right to charge for repairs, losses or replacements necessitated by the negligent act or omission of any of the hirer's party, guests or invitees. If necessary, this may include an administration charge. 7. The hirers' party will conduct themselves in such a fashion as to cause no undue noise or annoyance or disturbance to neighbouring proprietors or occupiers. 8. The hirer undertkes to leave the accommodation clean and tidy. The Company reserves the right to make a charge for extra cleaning if the property is not left in a satisfactory condition. 9. The description of the property is as accurate as possible but cannot be warranted, nor does the description form any contract. The Company reserves the right to alter or improve any of the subjects without notice. 10. Should the Company have to cancel the holiday for any reason, every effort will be made to find suitable, alternative accommodation. If this is not possible, an immediate refund will be made of all monies paid by the hirer to the Company for the accommodation booked. No further financial claims against the Company will be considered. 11. As far as the law allows, the Company takes no responsibility for loss, damage or injury to the hirer or any of the party as a consequence of this agreement or the occupancy following theron. 12. The hirer will indemnify the Company or their agents against loss, damage or injury sustained to the property or persons as a result of any breach of these conditions or arising from the fault of the hirer or any member of the hirer's party. 13. The proprietors or their agents whomsoever reserve the right to enter either property at any reasonable time. 14. Every effort has been made to ensure an enjoyable and comfortable occupation. If, however, there is any cause for complaint, the Company is anxious that remedial action is taken as quickly as possible. It is essential that the hirer contact the proprietors or a member of their staff so that any complaints can be speedily resolved. We may store your personal information on our own computer in a format other than email, however we will use the information soley for the purpose of processing your booking and will not share or sell it to any third parties.